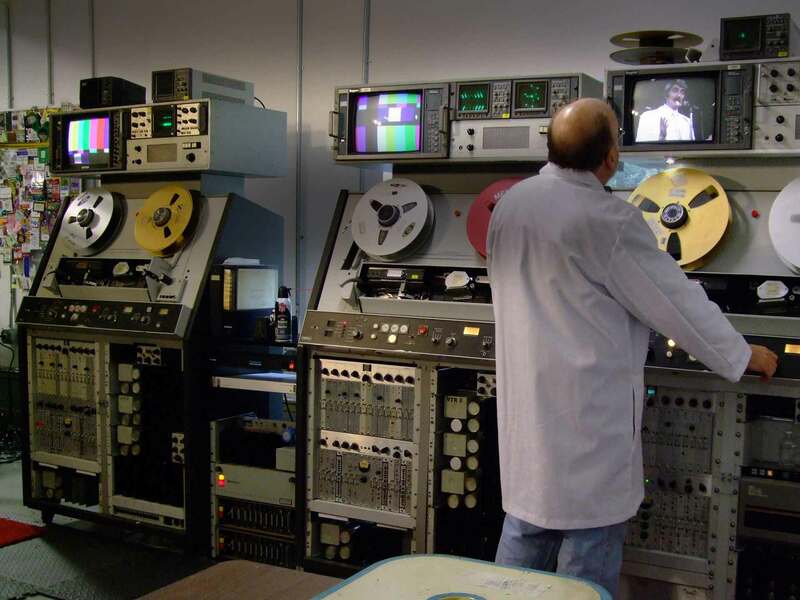 We take your analog video and convert it to digital formats. Our business is designed to give users a way to migrate their Quad, 1", and U-Matic tapes, among others, to a digital or optical format that can be played everywhere and saved for the future. We convert to uncompressed 10-bit or to many compressed formats like ProRes, H.264, MPEG-2, DV and many others. Let us know how we can help. Our prices are very competitive. Let us give you a price or do a sample transfer free of charge. We have never lost a shootout. 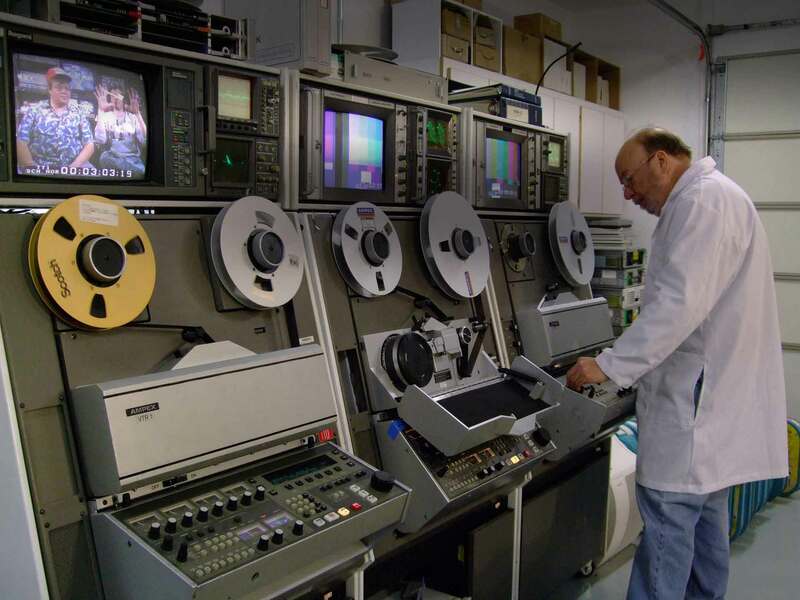 The Transfer Lab at Video Park offers the best in audio restoration and conversion services. 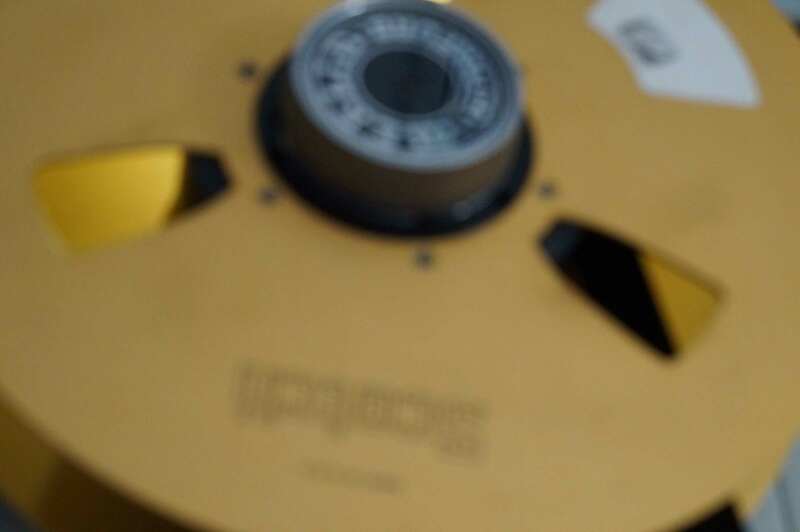 We have the experience, hardware and software to professionally convert and restore your reel-to-reel tapes, cassette, cart and phonograph records. 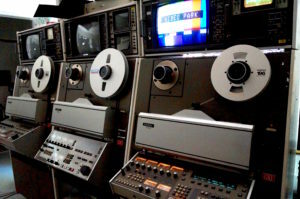 Using Ampex broadcast equipment that has been fully restored, your tapes come to life. We can make Pro Tools session files or WAVE files. Multi-track tapes are transferred with all their tracks at the same time so they remain in sync. With our Accom D-Bridge digital decoder, we can now give you the finest quality dubs from a composite source like Quad, Type "C", U-Matic and D-2/3. The D-Bridge uses a digital 3D filter to separate the chroma from the luminance, and it does it better than anything else available. No "hanging dots" like a comb filter would create and no cross-color from luminance interference and no softening of the image like a notch filter would do. It's the best decoder ever invented, and we use it on all our composite transfers. We have also installed an Accom DIE-125 10-bit digital noise reducer and image enhancer. It does wonders cleaning up old Quad tapes and 3/4" U-matic tapes. You won't believe the difference! 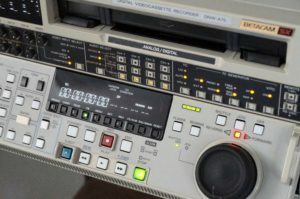 This VTR was a very successful component digital recorder. Made by Sony, it ushered in new possibilities for shooting and editing. Much better quality than Quad or 1″, it won over all who wanted top quality. 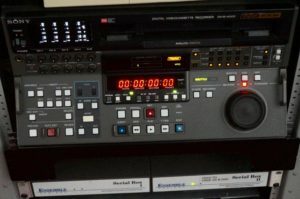 Some of the features are four channels of digital audio, playback of analog Betacam tapes, excellent slo-mo and freeze frame and a reasonable price. It also was small enough to be moved by one person, important if you are doing a remote. You’ll get great digital transfers from analog audio using our 16-track, 2″ analog tape. Our Ampex MM-1100 is in great condition and we digitize through our high-quality Focusrite A/D converter. We usually make WAVE files and can put them into a Pro Tools session file. Some other machines include an Ampex 351 tube, full-track mono deck, an Ampex 440B full-track, half-track stereo and four-track on 1/2″. In addition are DAT, ADAT and DA-98 and even broadcast audio cart. See this chart to find out the tape length and time. I’d suggest not using any consumer tape transports since they will provide inferior results and could damage your tape. To make a cheaper Betacam VTR, Sony made a digital VTR that has a little less quality, much longer tape length and a lower price. We used these VTRs for the first few seasons of “Big Brother” due to the excellent tape length in the cassette, up to three hours!. It stores video using MPEG 4:2:2 Profile@ML compression and compresses the video signal from approximately 180 Mbit/s to only 18 Mbit/s. It is an excellent player of analog Betacam tapes. Very popular with television news, you’ll see these VTRs all over a newsroom. We have several of these decks and can pick and choose different models to find which one reproduces analog Betacam the best. Your tapes always get the best service and the best quality. Invented in 1956 as the first broadcast television format, Quadruplex VTRs were in service until the early 1980s. These machines are difficult to operate and maintain and there are very few companies offering this transfer service today. We currently have five Quad VTRs in-house and are always looking for more. Parts are becoming rare and I bet the tapes will last longer than the machines. If you have Quad tapes still waiting on the shelf today, I’d recommend transfer as soon as possible.